When it comes to treating shingles, conventional medicine typically turns to prescription medications. Although antiviral medications may help, they have a host of adverse side effects. Furthermore, after the initial outbreak, a significant number of patients develop chronic pain that is notoriously hard to treat. Fortunately, many of my patients and subscribers to my newsletter, Health & Healing, have had excellent success treating shingles with safe alternatives to these drugs. 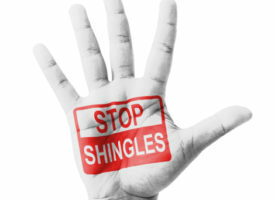 Read what a handful of these folks have to say about treating shingles naturally. IV vitamin C is my number-one recommendation for the natural treatment of shingles. Very high doses of this vitamin—which can only be administered intravenously—exhibit powerful antiviral properties, making it ideal for attacking the Herpes zoster virus and treating shingles naturally. To locate a physician near you that may offer this therapy, visit acam.org. To make an appointment at Whitaker Wellness, call (866) 944-8253. As Esther’s testimonial illustrates, it’s possible to achieve the same—or better—results with natural therapies. L-lysine is an amino acid that’s great for treating shingles, cold sores, and herpes outbreaks because it inhibits the growth of the Herpes zoster virus. The suggested dose is 1,000–1,500 mg three times per day. Take at the very first sign of symptoms. For prevention, I recommend 1,000 mg of L-lysine a day. In addition to their antiviral effects, olive leaves contain oleuropein, a substance that boosts immune function. Therefore, it’s not surprising that olive leaf extract would be helpful for treating shingles naturally. For more information on the Olivus products Verna used, visit olivus.com. So there you have it: three non-drug therapies for treating shingles naturally. 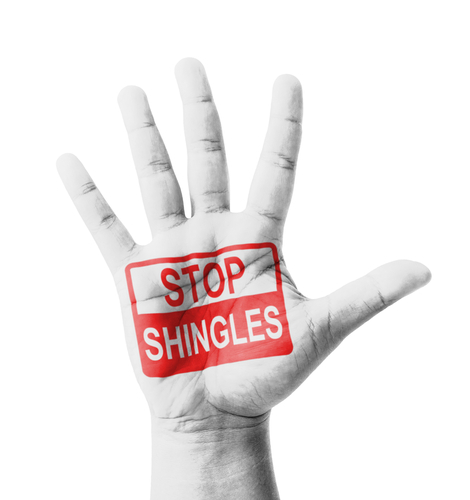 If you have natural solutions of your own for treating shingles, I’d love to hear about them. Just email them to me info@whitakerwellness.com.